Starting from Mainconsole version 4.1, NVRmini2 version 1.7.0, Titan version 1.6.0 and NVRsolo version 1.1.0, "Generic Dewarp" function has been incorporated to certain fisheye cameras. 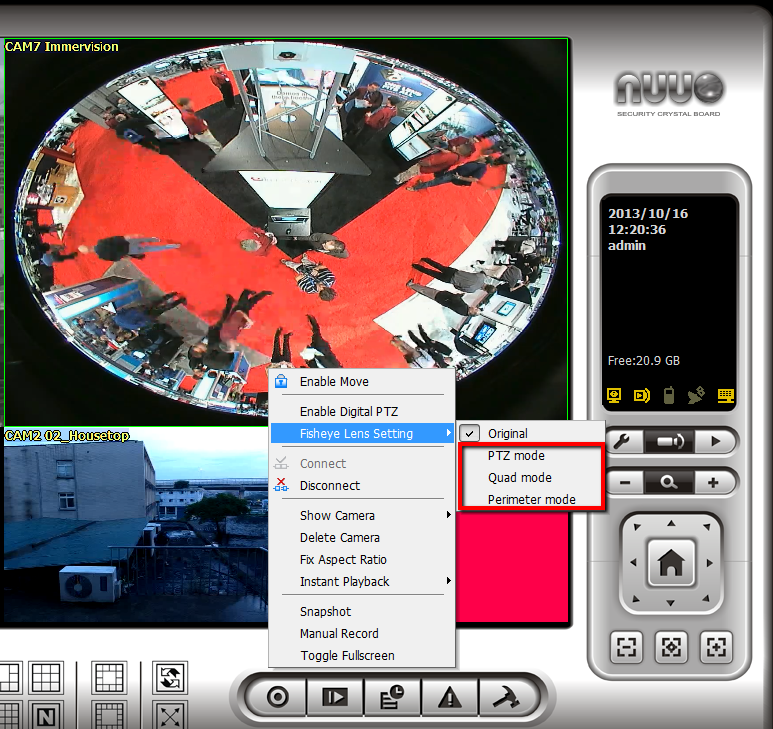 You will be able to see in quad more or perimeter mode in Mainconsole using fisheye cameras. Kindly follow these setps to set up your lens. (For example: for Mainconsole link to http://www.nuuo.com/SupportCamera.php?node_id=4#3) and check that your camera model is in our Support List and it shows that it is a ''Fisheye camera''. *Only those models with a "fisheye camera" note support Generic Dewarp. Go to [System Setting] --> [Camera] tab --> [Lens Setting] --> [Enable Fisheye Lens] --> choose Generic Dewarp. 3. 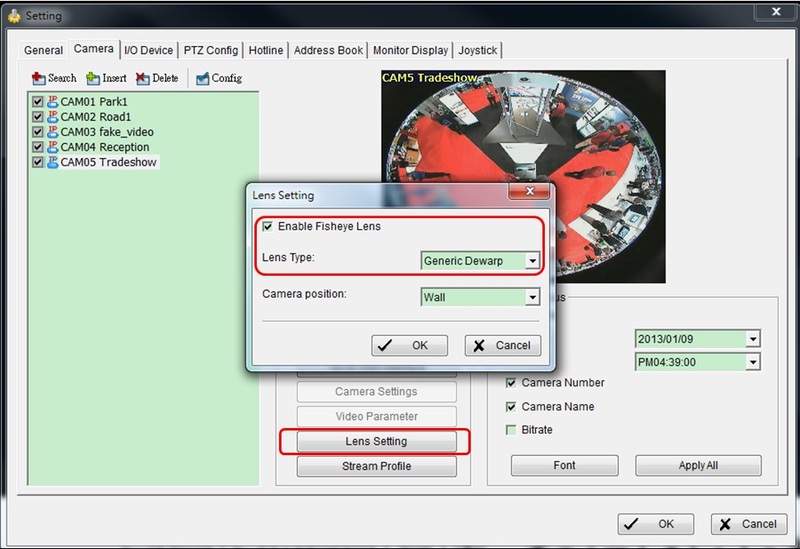 In Live View display, right click on the desired camera and choose the PTZ mode under [Fish Lens Setting] menu as the following picture.